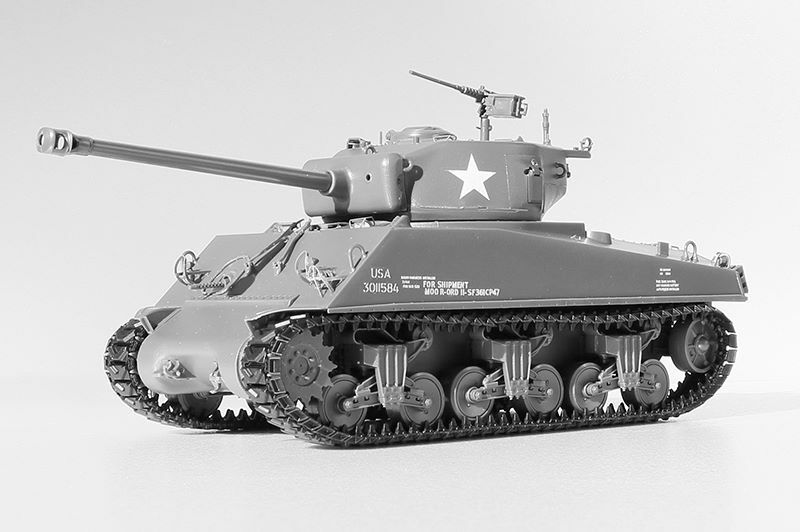 The Fisher Tank Arsenal produced 525 M4A3 (76)w tanks from September through December of 1944. 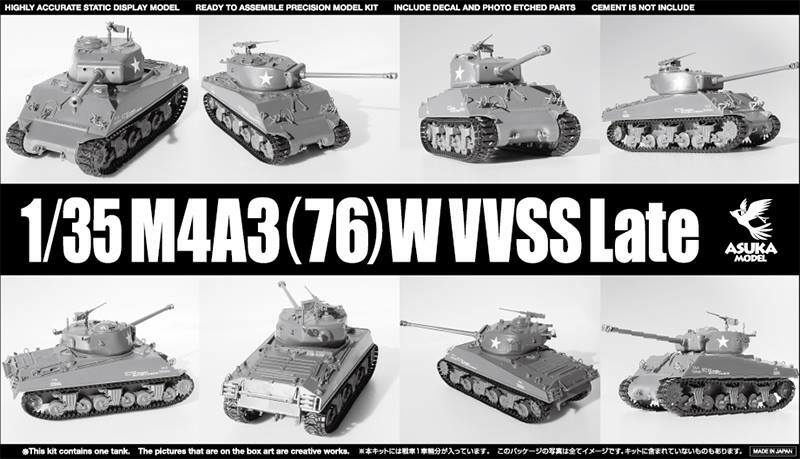 It is believed that all 525 tanks were built with VVSS suspensions. Early tanks were built with the split loader's hatch and pressed-steel road wheels. 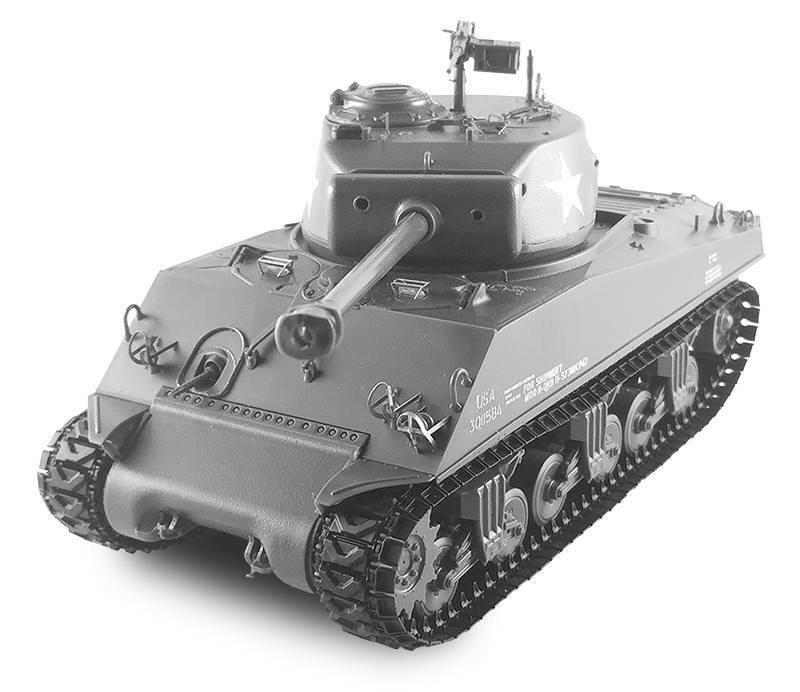 Late-production Fisher Arsenal tanks were built with the oval loader's hatch, plain dish road wheels, and the M1A1C main gun with muzzle break. This later combination can be seen in photographs serving in northwest Europe and Italy. Molded in dark green and clear plastic; includes flexible black tracks, polycaps, decals and photo-etched parts.